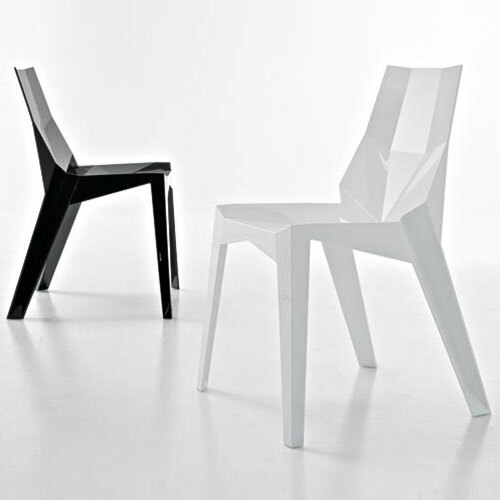 Stacking chair made of transparent glossy polycarbonate or colored glossy polyamide, injection molded in a single piece. Stable, comfortable and resistant to the weather. Suitable for both home furnishing and the contract sector. Made in Italy.